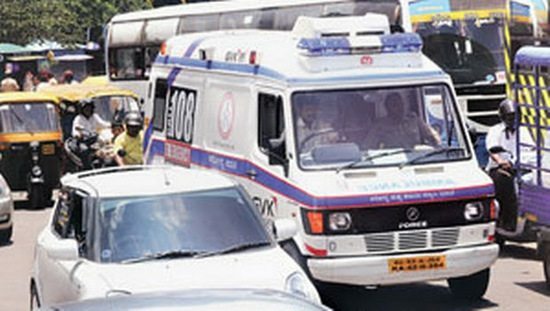 Ambulances and fire trucks will soon get permanent green corridors in Bangalore and all traffic, including VIP cavalcades, will have to give them the right of way. Read the full article here. Married before her 18th birthday, Nirma Chaudhary could have ended up like thousands of other child brides in Rajasthan – forced to quit school and consigned to a life as a wife and mother. Read the full article here. 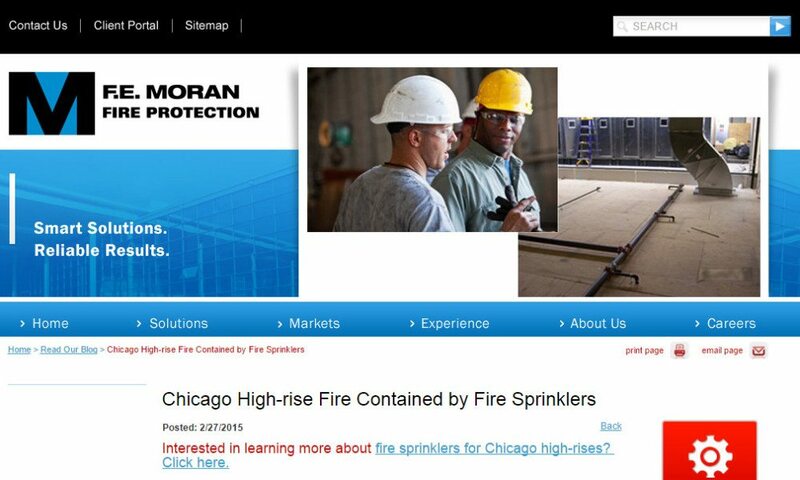 A majority of city’s high-rises are facing a potential threat of fire mishap. Read the entire report here. 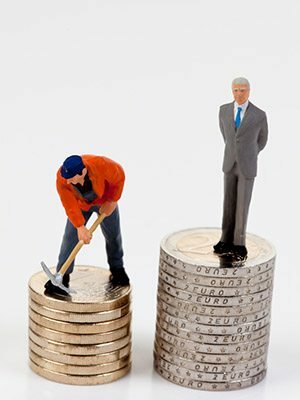 Despite spending over Rs. 40,000 crores on safety in the railways, 85% of the coaches do not have fire safety warning systems. Read the entire report here. 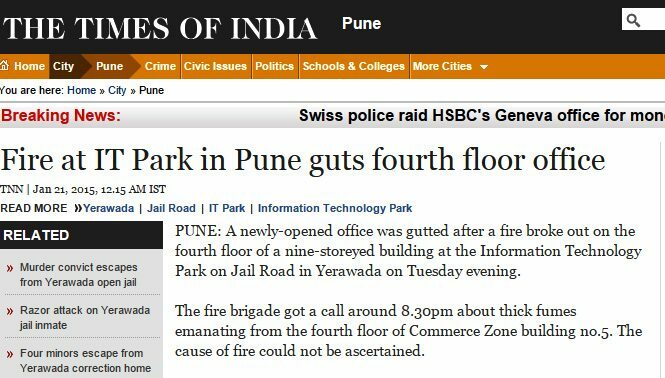 The fire brigade received a call at 8.30 p.m. regarding thick fumes emanating from the fourth floor of Commerce Zone Building No.5. 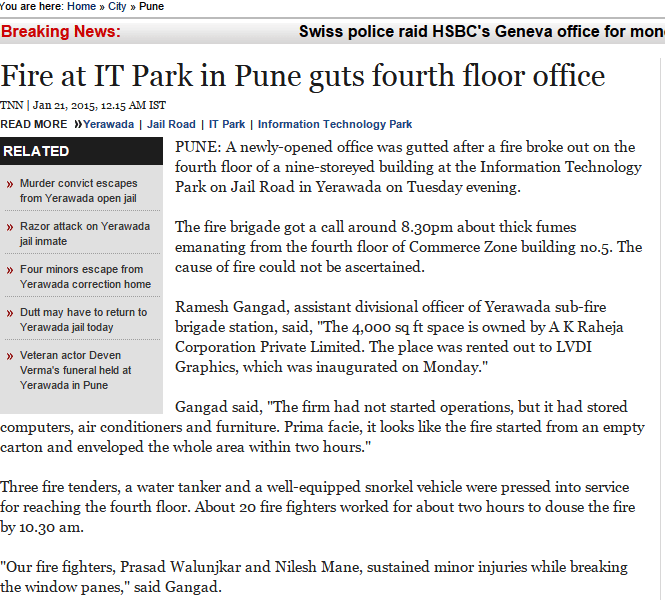 The cause of fire could not be ascertained. Read the complete story here. 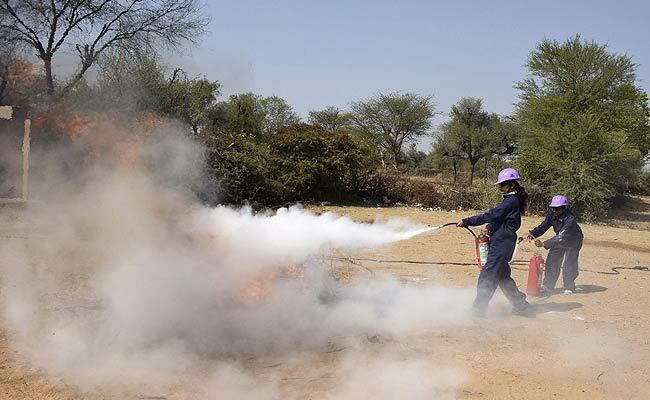 Two teenage children of a family were charred when a fire broke out in Sahadra locality of Agra. 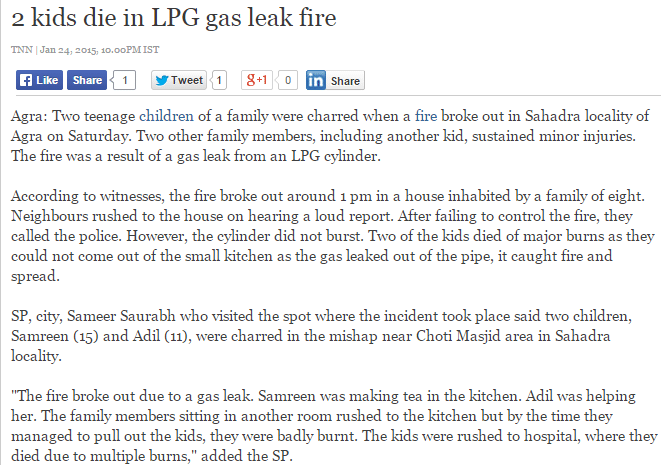 The fire was a result of a gas leak from an LPG cylinder. Read the full story here.